Bureau 3.11 was founded by the Dutch designers Michiel Uylings and Jeroen Schaeffer. For the Van Gogh Museum they developed a beautiful tableware collection inspired by Vincent van Gogh's rustic, impasto brushstrokes. Van Gogh's passion about capturing farmers' daily lives was the inspiration for 3.11’s colour palette: the blue reflecting the Provence summer sky, the yellow that of the annual harvest and a warm grey representing the fertile earth. This beautiful plate of ceramic is specifically designed for the Van Gogh Museum by design office 3.11.Vincents rustic scenes in impasto brush strokes inspired the designers to create these unique ceramic shapes.The irregular shapes mirror the unique character of Van Goghs painted subjects. Van Gogh was passionate about capturing the essence of farmers' daily lives. This was the inspiration for 3.11s color palette: the blue reflecting the Provence summer sky, the yellow that of the annual harvest and a warm grey representing the fertile earth. Special offer: 3=2. 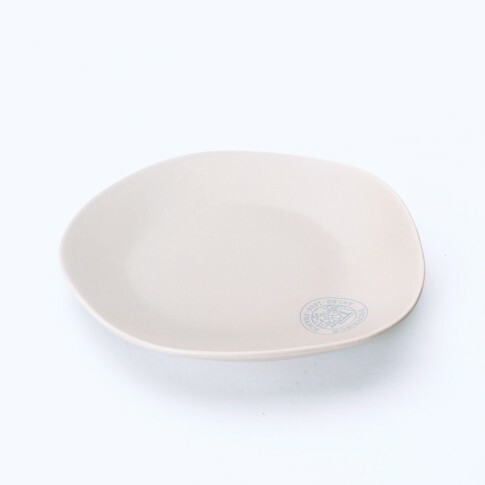 Order 3 products from the Bureau 3.11 tableware collection and receive 1 for free! Discount will be automatically applied at checkout.